Our suite of Outreach activities in the School of Social Science offer opportunities for school students to visit our campus and participate in active learning experiences in an authentic research environment. As a leading centre for research and teaching in both Archaeology and Criminology, the UQ School of Social Science is well-positioned to help broaden school students' understanding of global cultural heritage and its origins, and the value of its conservation and protection through our Archaeology Outreach activities. Students are able to participate in hands-on excavation and lab-based activities. Participation in our Criminology Outreach activities will assist students with learning how criminology and criminal justice studies contribute to our understanding of why people commit crimes, how the criminal justice system works and ways to control and prevent crime harms. Students will also have the opportunity to learn and ask questions about post-tertiary career options in both Archaeology and Criminology. 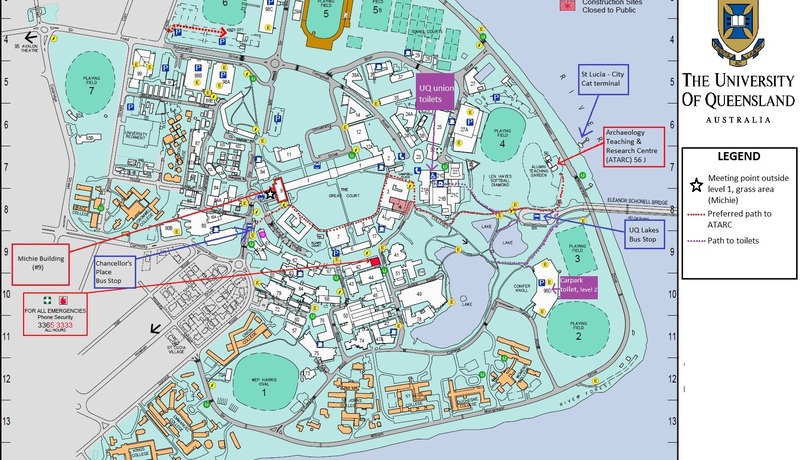 Our programs take place at the University of Queensland, St Lucia Campus, either in the Michie Building (#09), or the ATARC (Archaeology Teaching & Research Centre). Please see map below which highlights these locations.